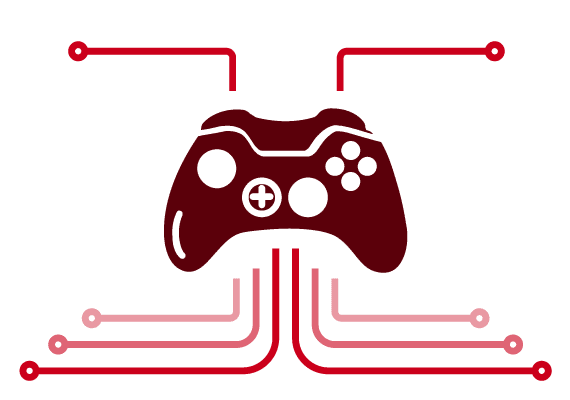 The core of VRBookings. The management system which allows you to keep under control all your reservations and properties. 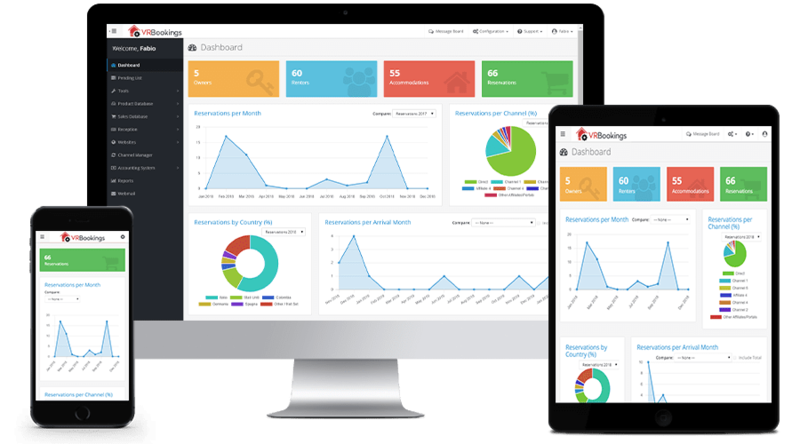 Manage customers and affiliates, keep track of their preferences, purchase frequency and all their information. With one tool manage the reservations coming from all distribution channels and OTAs. 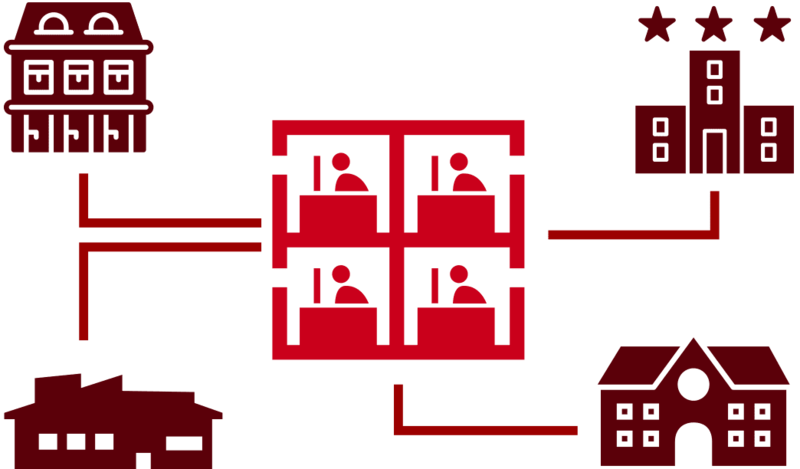 A website connected to your management system. You can advertise and manage the calendar of your properties all at once. We are your front-office outsourced: we answer to the requests (by email or telephone) and we manage all the reservations. Great, isn’t it? 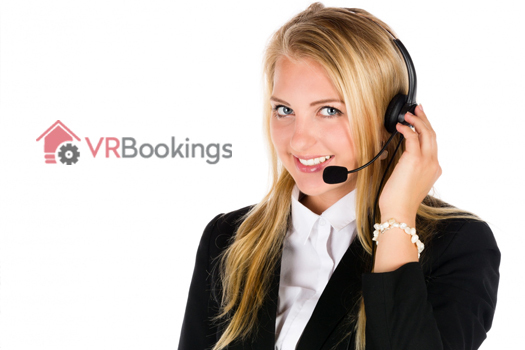 Remote support and assistance for all the modules of VRBookings. It will be tailor-made for you according to your needs. 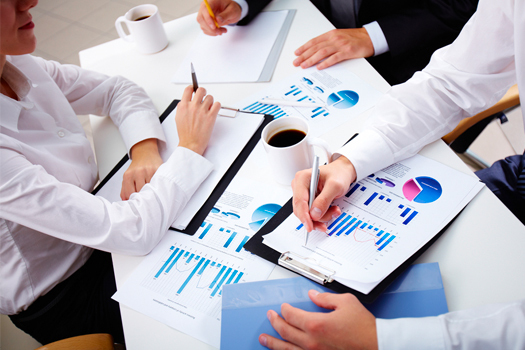 Do you need consultancy to develop business strategies for your company? 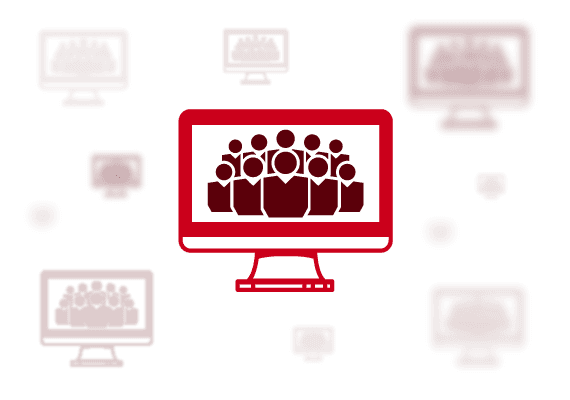 To establish yourself in the market or just in the web? You are in the right place. The technological solution to manage all the reservations of your properties, save time and increase customers besides several services to support your activity and improve your business. VRBookings is a well-rounded solution for each necessity related to holiday homes rent. It is a complete solution, able to adapt to every needs in the field of vacation rental; from the owner of a single lodge to the agency or tour operator without any limitation in the number of accommodations. 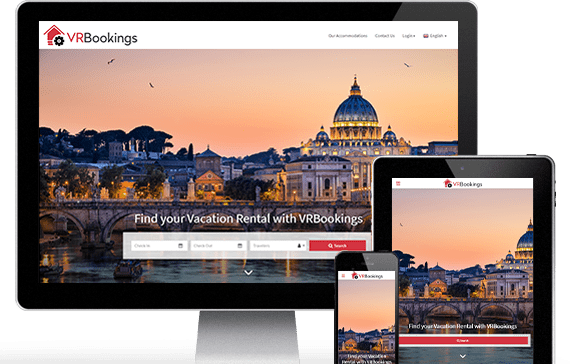 VRBookings has been created with the purpose of satisfing the numerous necessities of agencies and owners of vacation rentals. It has been designed to solve all the difficulties of those who have to manage a considerable amount of accommodations or to optimise the distribution channels (their own website, OTAs, direct reservations). 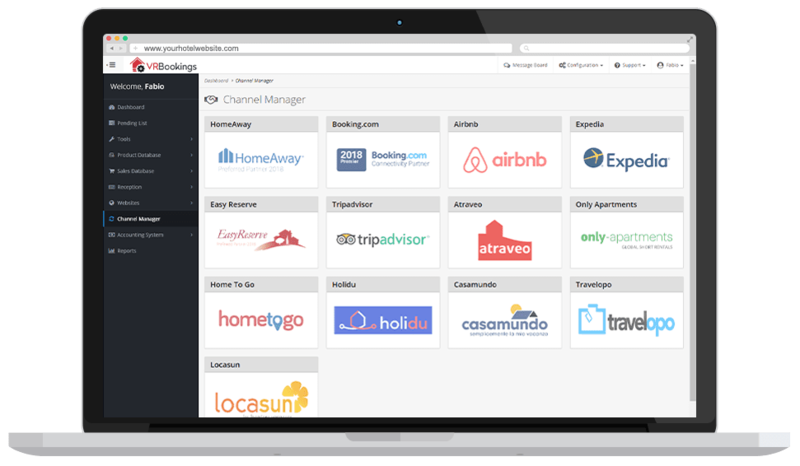 A Channel Manager certified by the major OTAs of the international market, extremely developed and efficient, it can be integrated with your website. One tool to control all the processes of your properties and your agency. VRBookings for owners of vacation rentals. VRBookings does not need any installation and it is designed for those who manage medium or large properties. To have immediately a complete, effective and flexible Channel Manager. 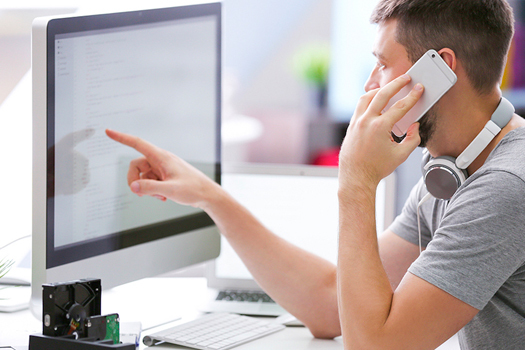 Manage the properties of your network and rely on services born just for your business. One click and you can change the price list not only on your accommodations but also on all the distribution channels. 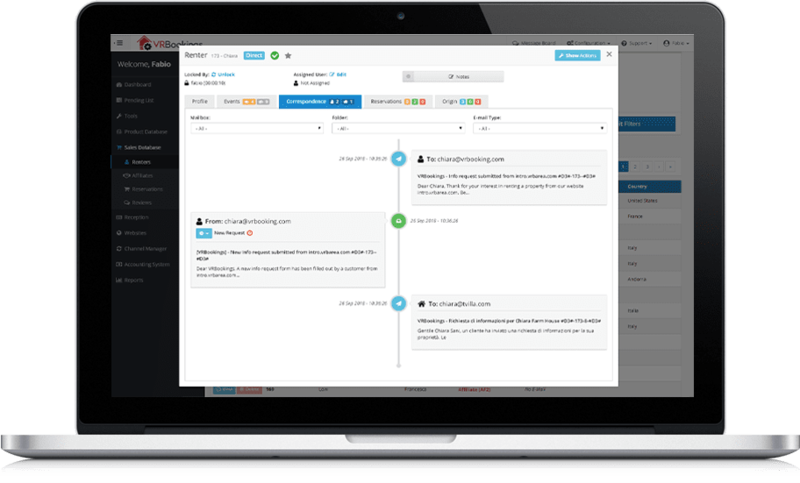 Manage requests and availability in an immediate, simple and automatic way. What does it mean? It means that with one modification, you update the information on your properties and on all the distribution channels. 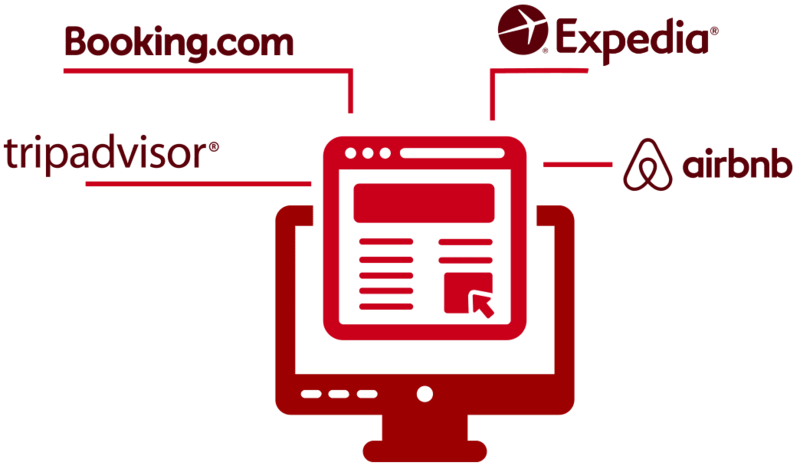 VRBooking gives you the opportunity to create a website straight connected to your management system. In this way, you have a communication tool up-to-date with other reservation channels and your customers can check the availability in realt-time, send a request and even make reservations! All your properties in one control panel. Reservations, requests, payments and all which concerns your business. If you want, make a reserved and secure area available to your affiliates in order to place reservations and make payments, everything is connected to VRBookings management system. How many properties can you manage? As many as you want, there are no limits. VRBookings allows you to manage simply price lists, offers, conditions and all the properties and owners you want to. You have all the aspects of your business under control by an intuitive, complete and simple software. Alcune recensioni da parte dei nostri clienti che hanno migliorato il proprio flusso di lavoro grazie ai nostri servizi. Do you need help? Fill out the form below and you will be contacted as soon as possible! I hereby authorize the use and processing of my personal data in accordance to the GDPR 679/16 - "European regulation on the protection of personal data" and the Italian Legislative Decree no. 196 dated 30/06/2003.